WE OFFER A 10% DISCOUNT WHEN YOU PURCHASE TEN (10) OR MORE OF THE SAME PRODUCT IN ONE PURCHASE. This offer applies to all Tac/Audo Scans, Lightbars, and Lapscan 4000. If you have any questions, please contact us by email at emdrtools@neurotekcorp.com or by telephone at 1-303-420-8680. Business hours are from 8 a.m. - 4 p.m. MST. NEUROTEK'S BEST-SELLING TOOL FOR EMDR EXPERTS. Our best-selling light bar for therapists comes complete with every feature you need for your practice and is designed and backed by 25 years of research and development. Easily controlled by a wireless remote for Clinician convenience, this EMDR Tool will allow you be prepared to help any client with any trauma. Longer range viewing distance (up to 4ft.) allows a safe, comfortable distance for clients. Auditory Function includes Internal tones as well as the external music option. 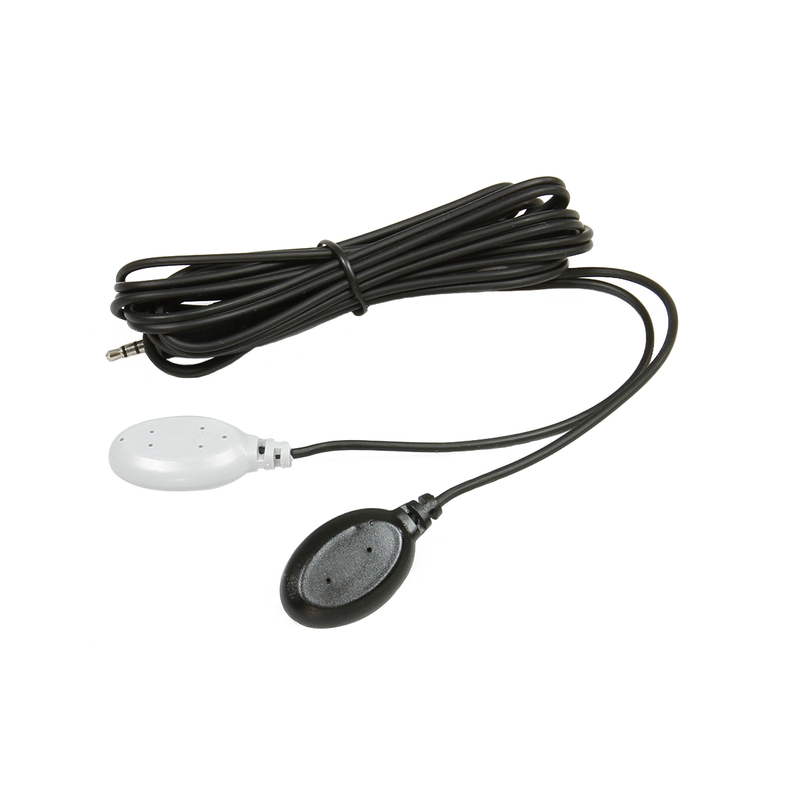 Plug in ANY music source and the EyeScan Deluxe will turn the music bilateral. Visual features include the option for Blue, Green or Red LED color allowing you to provide your clients with more visual options as it has been reported some clients can get stuck on processing with a certain color, based on their trauma. The speed, volume, brightness, and vibration intensity are all easily controlled using the wireless remote so you can adjust all settings for each client's individual preferences to make them most comfortable for processing. The tripod allows easy positioning for maximum client comfort. For diagonal eye movements, simply tilt the light bar to any desired angle. 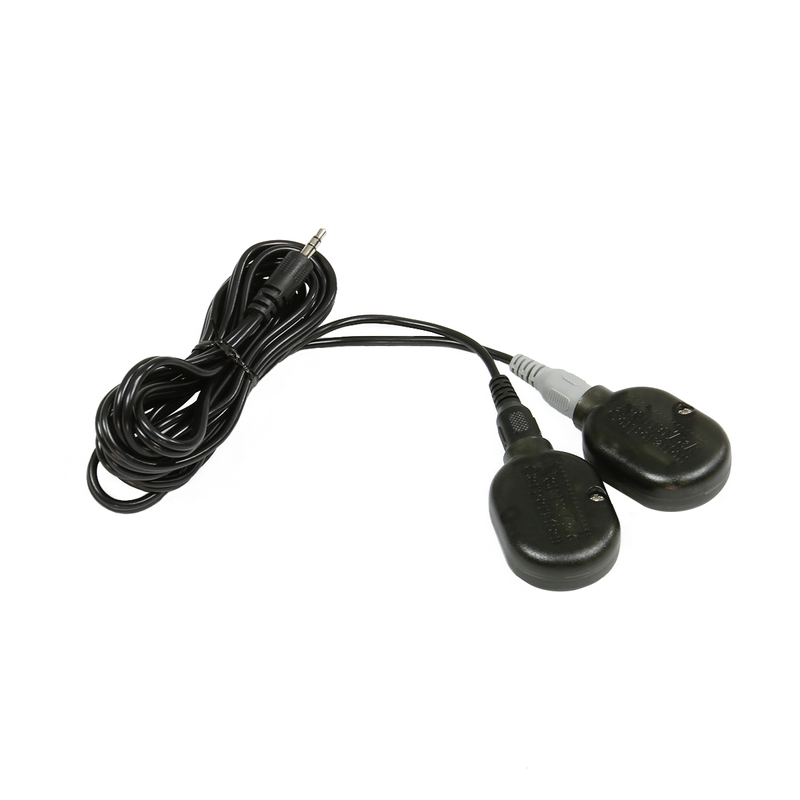 The EyeScan Deluxe includes the tactile feature and comes with a set of standard tactile pulsers. Intensity and speed of bilateral stimulation is easily adjusted with the remote control for each client's comfort. NeuroTek EyeScan DELUXE runs on an AC Adapter plug or a 9-volt battery, providing the therapist with options depending on needs and office space. Using the AC Adapter is recommended if possible to save time and extra cost on batteries. Backed by our Limited one-year Warranty! EyeScan™ Technology was developed to aid the clinician in the administration of Eye Movement Desensitization and Reprocessing (EMDR). With hands-free administration of EMDR, the clinician is better able to closely observe the client's behavior and take notes. Previously administered by a repetitive hand technique, EMDR can now be performed with the aid of the EyeScan™ 2000S, EyeScan™ 4000, or the NEW EyeScan Deluxe eliminating clinician fatigue and improving the therapeutic process. Through extensive field testing by EMDR clinicians, these products have proven to be valuable and effective tools in the administration of EMDR. The 24 scanning lights on these EyeScans™ can be controlled via the cordless hand held controller. The scan rate is easily adjusted and the clinician can select the alternating end lights only mode with a simple switch selection. The tripod allows easy positioning and client comfort. For diagonal eye movements, simply tilt the light bar to any desired angle. All EyeScan models come with both visual and auditory stimulation modes. For auditory stimulation simply plug the walkman style headphones into the EyeScan light bar. Your client hears a gentle tone in each ear as the light on each end illuminates. Further, incorporating multiple senses may enhance the EMDR process. The audio stimulus makes these EyeScan models excellent for clients with vision impairment or who have trouble with eye movements. Additionally, all EyeScan™ models can now operate from an internal 9 volt battery (not included) or you can plug it in with the included AC adapter. A tactile stimulus now available. The EyeScan™ 4000 and the New EyeScan Deluxe also incorporates built-in tactile stimulation. Simply plug the pulsers into the light-bar for synchronized tactile, auditory and visual stimulus or choose any combination of the three to suit each individual client's needs. The Mega pulsers have orange lights in the end that activate when each pulser vibrates. The pods that are held in the hand are also slightly larger than the standard pulsers. The most important difference is that the Mega pulsers have detachable wires, allowing the Clinician to detach the pods and replace the wires when they wear out instead of having to replace the whole set of pulsers. NeuroTek is the worldwide leader with the most extensive product line up of EMDR equipment. Our products are used in 47 countries by thousands of EMDR therapists who have reported excellent results and believe they are extremely effective therapeutic tools.